Here I am for the third month sharing what’s In My Kitchen as part of the series run by Celia over at Fig jam and Lime Cordial. This month my preparations for Christmas have begun. I always think that the more I get done now, the more i’ll enjoy the run up to Christmas because I won’t be up at all hours of the night baking! 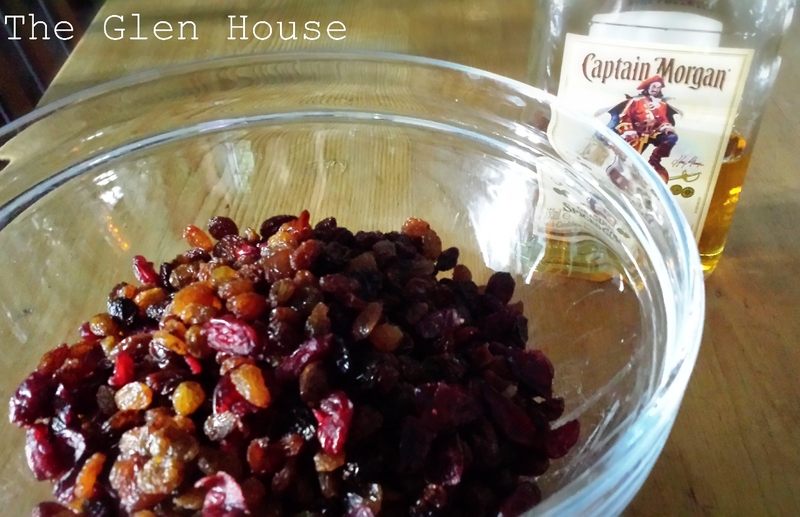 … Sits a bowl of dried fruit steeping in rum (you could use tea or apple juice) for my Christmas cake. I’m very late making one this year, but better late than never! I tend to use the fruits that I like, so I leave out mixed peel and those awful glaice cherries! Every week i’ll add a dash of alcohol to the baked cake to “feed” it, this nice spicy rum is perfect. 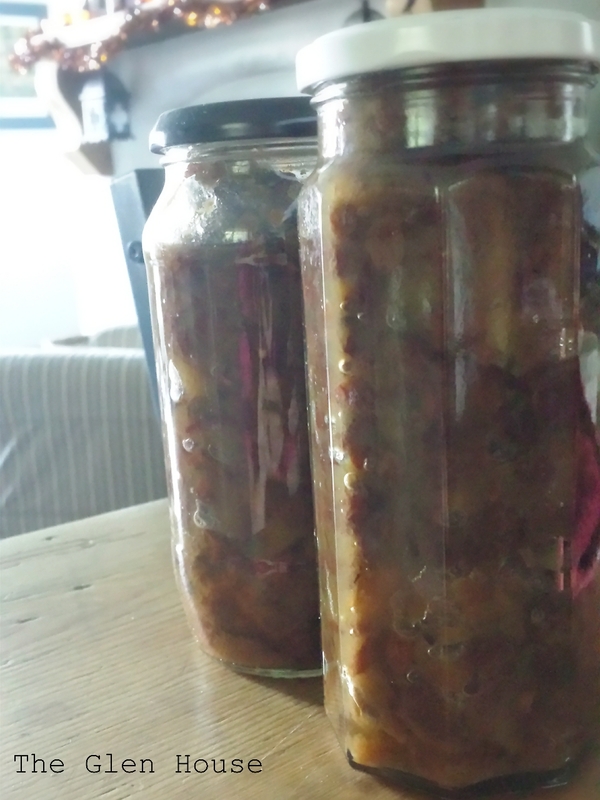 … Stands these yummy jars of apple mincemeat for Christmas mince pies. These jars were made last year, so this week i’ll make the pies and freeze them. Then i’ll take them out and freshly bake them as and when I need them next month. 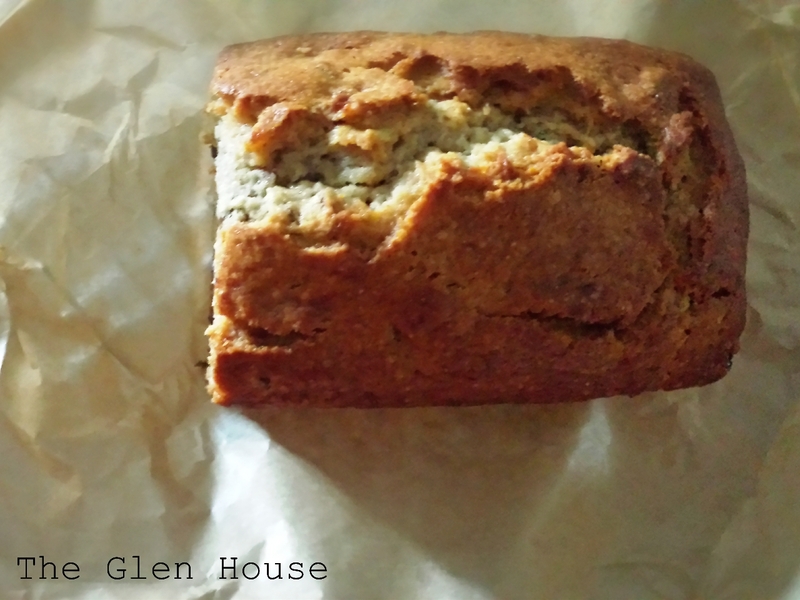 …Is what’s left of a delicious banana and pecan loaf that I made last night. I had some bananas on the turn, so it was an obvious choice. Dr Doolittle decided he would have a slice hot out of the oven with vanilla icecream and toffee sauce. He said it was yum! 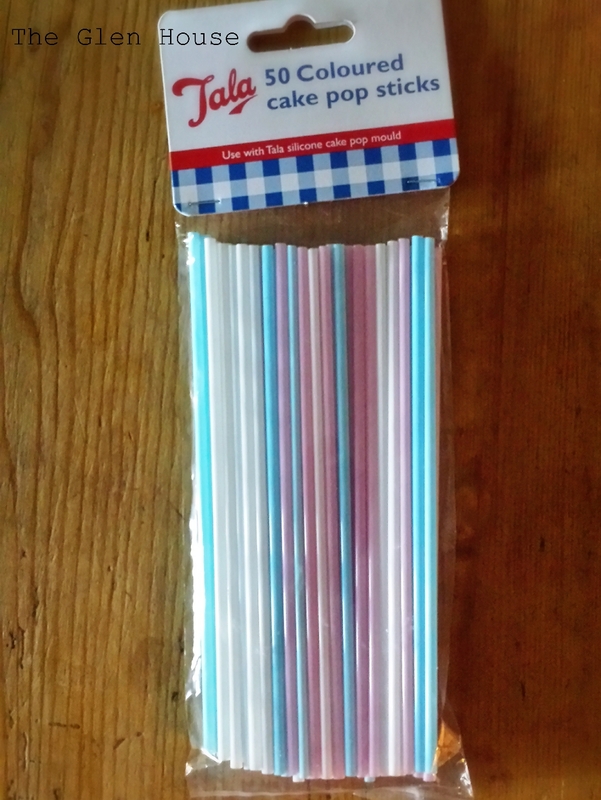 I’ll post the recipe during the week…. … Is my tea box. My love of tea is well documented; from ‘normal’ every tea, to mint tea, to my current favourite camomile and honey. I’m also a huge fan of homemade Indian Chai tea both in The Glen House and in the warm magical heat of Goa! …Stands this cute enamel gravy pot with a wooden handle! This was purchased on a recent trip away. I’d never seen anything like it before and knew it would look perfect sitting by the range cooker. I’ll be serving gravy straight out of it at Christmas time. Remember to stop by my Facebook page or follow me on Twitter! You have an awesome kitchen with awesome ingredients. I love tea…and look forward to that christmas cake. Please mail me a slice! ❤ the gravy pot! I wish i had that "planning ahead" gene…bravo to you for getting a head start on the holiday rush! G’day! Yippee Christmas is coming and can almost smell your banana bread from here! Hi Joanne, thanks for stopping by! I love you tea box. I too am a tea lover – can’t go a day without a good 8 cups. Have a super day. Hi Mandy, thanks so much! That’s my thought on them too…. Melissa, I too have to start my boozy Christmas cake fruit mix. Never too late I say. I look forward as well to ‘feeding’ my new fruity pet. Happy Christmas baking! 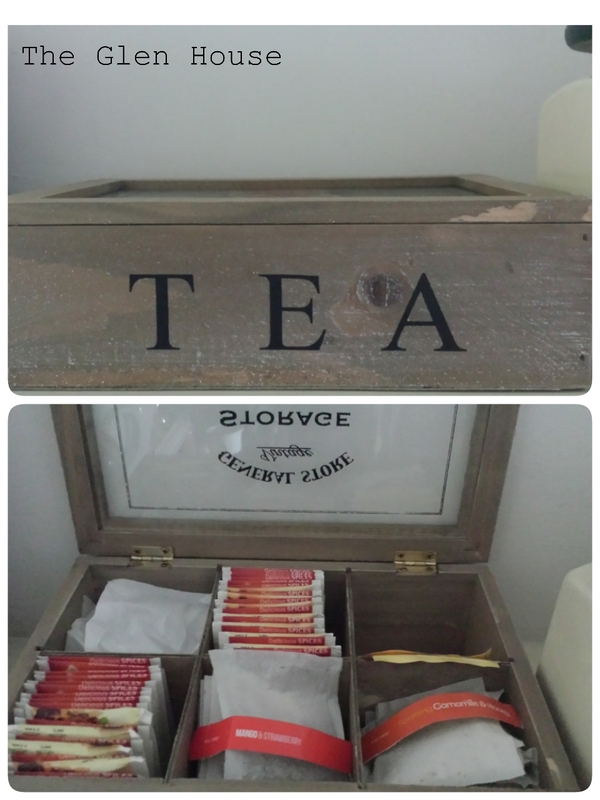 What a fun tea box. I also love tea. My new find is a pumpkin tea, surprisingly good! I never have gotten I to making Christmas cakes, it just isn’t overly traditional here. Good thing anyway, where would I find the time?! I need to start deciding which Christmas cookies to bake soon. I have a freezer full of bananas so banana bread is probably in my future too! After all, I need to clear out freezer space for Christmas cookies and other goodies. Oh! I never thought of freezing bananas! What a great idea. you got yourself a busy and bustling kitchen 🙂 Good stuff, all. Apple mincemeat? Sounds delicious! I usually add some cooked apple when I.’m having a mince pie as I’m not that keen on raisins but I never thought of putting it in the mincemeat. Do you add any alcohol to the mincemeat? I make cake pops for birthday gifts- there is nothing like a box of cake dipped in chocolate for the birthday boy/girl! They have to share the cake with everyone, but the pops are for them alone. I have my fruit sitting in brandy- the rum was all gone with the last of the rum balls and I figured brandy would do as well. Your kitchen looks like fun- and I like that gravy pot! Hey there, thanks for the encouragement, i really must give the cake pops a try. Yup, dried cranberries! Well, the once I didn’t eat while I was weighing them! 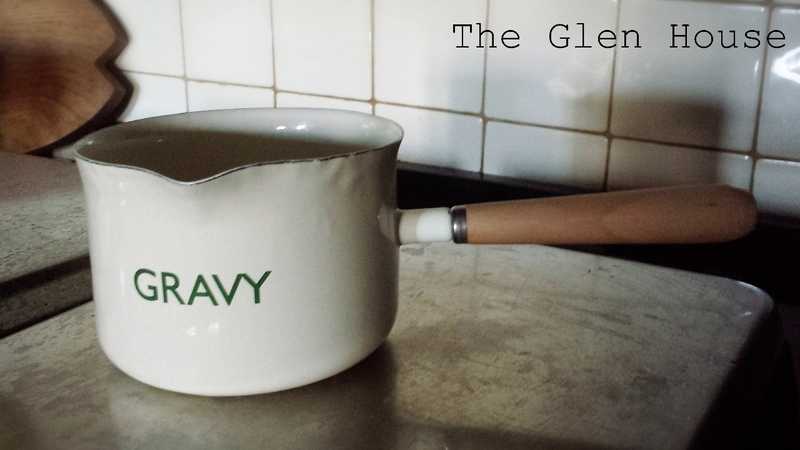 i love enamelware of any kind so the gravy jug is adorable. what a great idea to make your own mincemeat. yes our mum used to make her xmas cake early and feed it for a few weeks with sherry, rum etc. very heady by xmas day.! Your gravy pot is so cute! i’ve never seen one like that before. Seeing lots of soaking fruit in these November Kitchen posts that’s for sure!!!!! I love your gravy pan, isn’t that just fabulous, never seen one like it!